A Vintage Hardware Original! 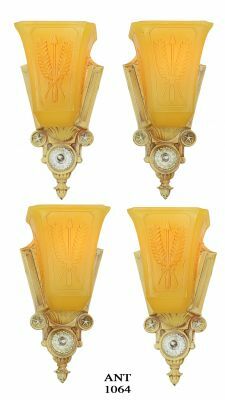 This is a nice quality, close to the wall sconce. 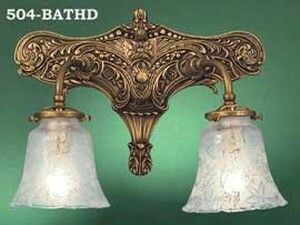 The backplate is from the mid 1800's gas fixtures, cast by the Lost Wax jewelry casting process for excellence in detail. Then the rare, shapely Hubble shade fitter gives an early sconce feeling that matches the backplate. 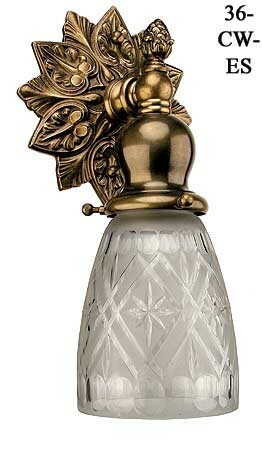 Made from solid brass, with unlacquered polished brass, or an antique brass finish to bring out the details. Now also available in our matte black Oil Rubbed Bronze Finish, or real nickel plating for a chrome appearance. Use the menu above to select the finish. 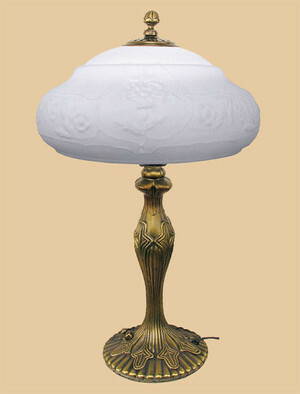 Overall Height: 9 ½" from the top of the backplate to the bottom of the pictured shade. Backplate Diameter: 5 ½" across the points. Projection: Approximately 5" from the wall into the room. Wattage: One bulb, up to 100 watts incandescent. Shade sold separately. 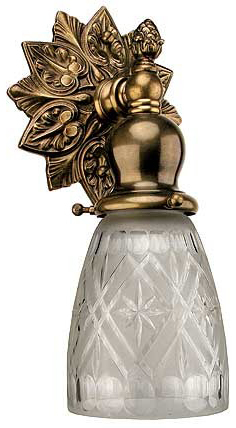 Shown with our cut glass shade. Since the fitter is 2 ¼", many shade types can be used to accent the light just the way you wish it to appear. 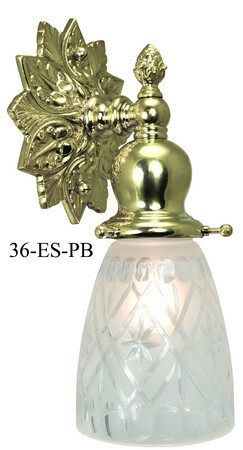 See our large selection of 2 ¼" fitter glass shades. If you'd like an On/Off switch added to the base, we offer custom installation of the switch for $25.00. Select the "Add Switch?" box above to add the switch to your order. 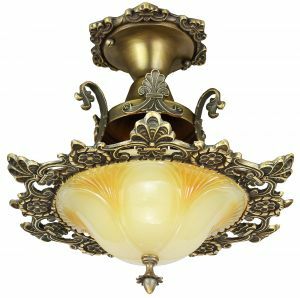 Another low profile, close-to-the-wall light is our Victorian style double sconce. 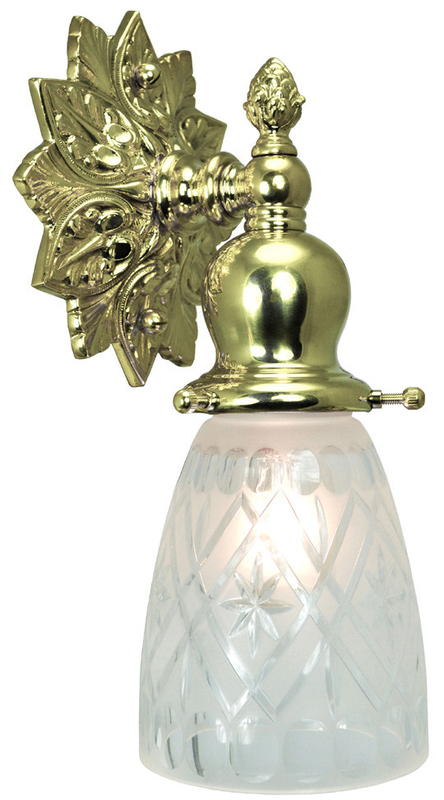 For a beautiful table lamp, see our Fort Worden line "Katherine" lamp. 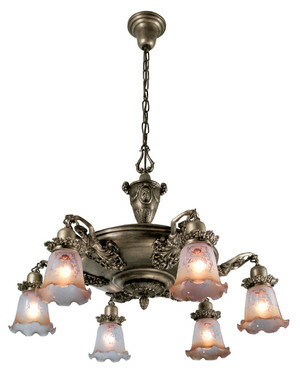 Incredible detail highlights our figural pan chandelier. And our sweet simple close ceiling light is a stylish choice for lower modern ceilings.